He argued that beavers had recently been reintroduced back to British waters after hundreds of years, and added that while lynx had been brought back to Germany, Slovakia, Switzerland, France and Spain, “there have been no authenticated accounts of them attacking people”. “Given that we have 350,000 roe deer in Scotland, reintroducing a predator to have an impact on that population would be good,” he said. What we would like to move towards is a more tolerant society that understands the fact that to have a sustainable working landscape we need large predators. The wolf will never be released into the UK. The hunting fraternity and farmers who, the EU subsidises so heavily with OUR tax, hold too much sway over our government. In fact they subsidise our Conservative system! Donate, and we’ll keep you’re vested interests free (hunting, tax reductions). Fox hunting is banned in the UK, but our legal system allows them to flout this law with brazen blatency! The problem is the UK is riddled with a disease like class system. Hunting was once the luxury of kings and nobles. It is the same today. The party in power (conservatives) gain much financial backing from this elite who believe it is their god given right to hunt, and kill wildlife. They live in an arrogant time capsule, they have no tolerance for the fact times have changed. We the mere peasants, cough up our hard earned salaries in the form of tax, which goes to the UK & EU governments, only for it to come back into the hands of the rich to ‘manage’ our lands and eco systems. Unfortunatley it is ‘managed’ or ‘mismanaged’ because of greed. Hunting estates in the UK are able to claim vast subsidies under the EU’s agricultural support system. Thousands of British upland acres are managed as game reserves whereby rare and beautiful animals are eradicated as vermin! You want to bring Wolves, Lynx back to this mess??? The UK is managed for the rich! The Royals & elite endorse this backward behaviour, to be seen as doing the same gives others kudos. Its a disgusting, vicious circle. And EU law or lack of it, is at its heart! This is a question for Steve Carver: This is the second time today I see a reference to a former Russian military training area which is now a conservation centre. I would be very interested to know a more exact location. Many thanks in advance. I commented to Chris “why only limit the vision to Scotland?” …I’m guessing that he didn’t want to upset the English and the Welsh farming/land owning community but he thought it was ok upset the Scottish farmer/land owners. Hmmm? 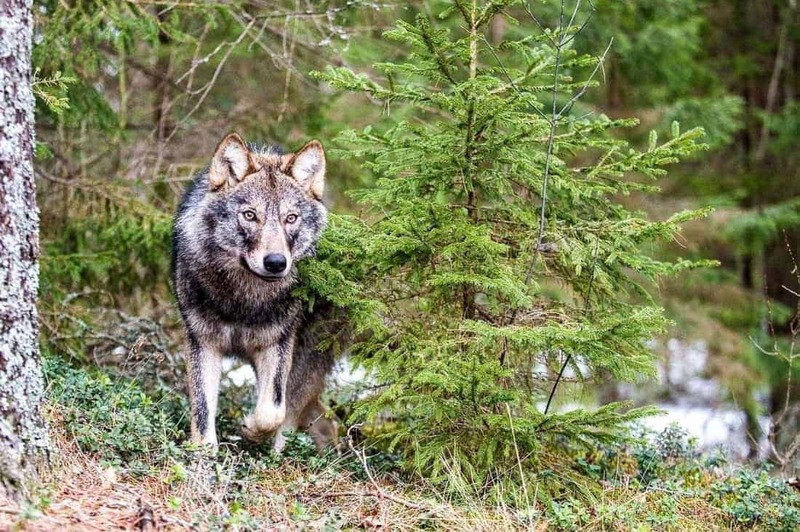 OK, there’s more “empty” land in Scotland and Scotland has recognised wild land areas and there’s plenty of prey species (deer) but just to limit the vision to Scotland seems short sighted when we have wolves coming back into Germany, France, the Netherlands, Denmark, etc. all of which have similar landscapes to England and Wales. I was in the Brandenberg area south of Berlin a few years ago looking at wolves in the former Russian military training areas and was struck by just how similar these are to our own Salisbury Plain in England. It is largely a question of political will, though we also need to make space for preferred habitats too… i.e. the UK needs more native unmanaged woodland. They need to be reintroduced to keep the ecosystem in the wild places balanced. They were there long before modern man arrived but we have destroyed so many species around the world it is now time to repatriate what we can. In the United Stares the hunters are being just as stupid. They are killing the wolves and coyotes and we will be faciing the same senario unless our government wakes up real soon and puts an end to this madness right now. .Wolves, coyotes and lynx all serve a function in nature or God wouldn’t have created them and to remove any one of them upsets the balance of nature and the ecosystem.